Last November been a really eventful month for me (though apparently less eventful for my blog posts themselves) as after BlackBerry Touch 9860 and Nokia N9, Nokia Lumia 800 also joined in the list of review devices to me. But then Its not been only tough schedules but also the entirely new product experience that made me delay in posting my first impressions (though I always been vocal on my twitter account @nkumar_ in this while) like I did in case of big devices like Samsung Galaxy S or Nokia N9 in past. It was necessary to get over with the excitements/ pre-judgments first before writing a Layman’s Take about it. So,… here I am. Back again after the longest period taken with any of other review device to me in past. Since we heard of leaks about Nokia SeaRay, this handset (now known as Nokia Lumia 800) always been overshadowed by the adjective Nokia N9 look-a-like and that really been a lot injustice to this brilliant piece of design. Think if there was no Nokia N9 and Nokia would have came out with this iconic design as their first Windows Phone? Shouldn’t we judge this device in that way only? Since the Burning Platform Memo, there been a lot of debate around Nokia’s shift to Windows Phone. 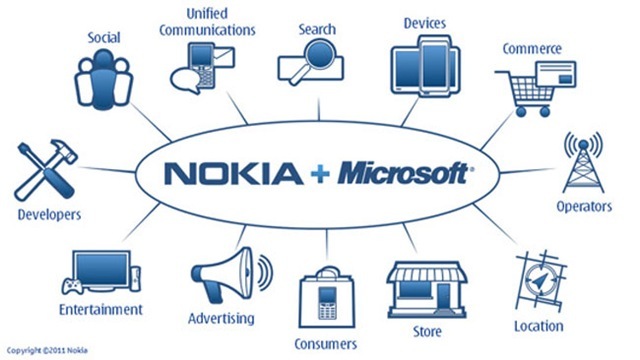 Like any heated discussion, there will always be some pros and cons of any move on such a big scale, but the thing is, we should accept the reality now that Nokia is a business company and they are here for business. When a new CEO got hired and was expected to do a turn-around (with probably not that many easy options around as many of us might have thought in early emotions of #Feb11), then considering the reputation of in-house software in eyes of major operators, we can see a point here in choosing Windows Phone as viable alternative. Many called Stephen Elop a Trojan Horse since his joining as Nokia CEO in October 2010 and speculations around his shares in Microsoft kept on fueling the doubts until he sold those shares and bought Nokia’s shares. But in all those speculations, people missed one thing to notice. Even if he would have been a Trojan, even if he had plans of a Nokia-Microsoft deal since the beginning, was this really that easy to convince whole Nokia to go Microsoft way from day one? Making a Windows Phone from day one? Think practical. How much time Nokia Lumia 800 got in R&D labs? Not even an year. Me and you may not understand that how hard it might have been, but ask the manufacturers and experts that how hard it is to actually deliver a product in market in this short span of time? Even if you write off the design as that of Nokia N9 plainly, it’s a totally different OS and related interfaces beneath and testing of components follow a standard process that is sure a time taking one. You have to admit the remarkable work that is personified as Nokia Lumia 800 today, one totally distinct design standing apart from whole world of suing and counter-suing. When you think of situations around it then Its just not a design or just another phone, but its something even bigger than that. Believe it or not, its been the first ever Windows phone for me as I never had a brief hands on over Windows phone in past. So, what I am gonna write here, will be raw impressions for a first timer. I would be someone who is coming from a Nokia device background and being a Samsung Galaxy S owner, can weigh its pros & cons in comparison to other available alternative that is Android. Its not only interesting for you, but its been interesting for me as well and so I decided to give it enough time before writing something about it (After all, I been given a generous two months review period for the device). And now it would be one of the biggest text based walkthrough of Windows Phone Software till date. Will consider to put a PDF file for whole post. One hell of a review Nitish. Looks like you can now publish a book on Lumia Review 🙂 Great Review..
Nice review , by the way about OTA , it’s a wp7 limitation and not lumia , soon wp in market currently supports OTA same is true about other few features. Even though I havent used or tried any WP device for more than half an hour, I just hated UI and how it looks. I don’t think that perception of ugly,over simplified UI will change. As expected and read all over for me 3 things stand out for WP. These can make it success. But sadly I feel Nokia is going away from their soul and going Apple way. This may be good for company(I really doubt) but not good for industry as whole. I had similar sentiments about WP UI before trying it myself. Even I mentioned once that I felt those uneven fonts as ugly. But trust me, views are bound to change once you allow it grow over you. Not all the praises going around are dummy. People hub is exceptional as just like Meego it brings all social activities at one place and like WebOS it brings all the photos (even twitter ones). So in all, people hub will effectively help people managing their social needs without going behind any apps that is a great thing for n00bs or even people coming from Symbian/Meego. Suyog, I’ll agree with Nitish.. in just two words…. you will see my views about it changing too… it’s actually a good UI. there are however some features that really were needed but if talking about UI, seriously I think if I was given more time with it I would been liking this UI. and I’ll not say like many out there that “Windows Phone 7.5” is not that good to be used. But still I’ll say that MeeGo on N9 (for its given time) has been the most *Mature* smartphone OS (in most of the aspects) among all of them. Review is great for people want to know about the History, comparison , apps functionality , dimensions but drawback is too massive detail.. Very interesting article, Nitish. I’m very exited with Windows phone on Nokia, but lack of BT and file transfer worries me. Nokia has been great among other things because of its flexibility and versatility. Does is support USB on the go, like my N8? What about something small but GREAT in functionality, notification light? Man, I think Nokia should never get rid of this. It helps the user so much to see through a notification light, that you have a missed event. Quite a thorough article on the Lumia 800(& upcoming 900)windows phone. The most important things for me are:i’m not going to sell a Rolls Royce to ride a better handlind motorcycle-ie,my Nokia E7-00 vs any Lumia! No storage! No tethering! No bluetooth! No sale! One of the most comprehensive review of Lumia 800 I have read. sheer Brilliant. Are u still using this device? How is the battery life holding up for you? 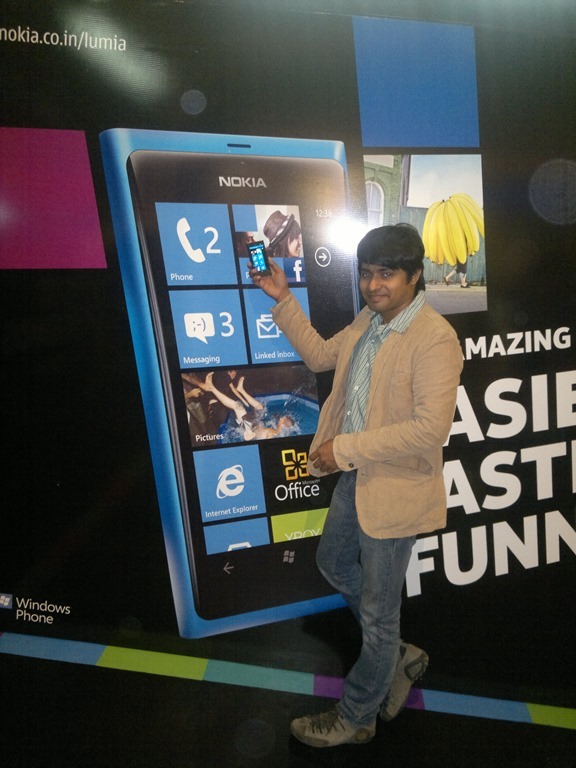 Any word on Lumia 900 launch date in india? The best review of WP that I have seen , kudos to u Mr. Kumar ! U r right , the Lumia 800 is beautiful ; it should be since it`s a copy of the N9 ! But that same design is also a problem in certain areas of the world ( more about this in a bit . ) . i`ve always said that WP has potential but it`s still immature ( Takes 3 years to work out enough of the bus and work enough features in , to make the OS useful . ) , seriously late to the party and there r too many other OEMs trying to get a piece of the pie . 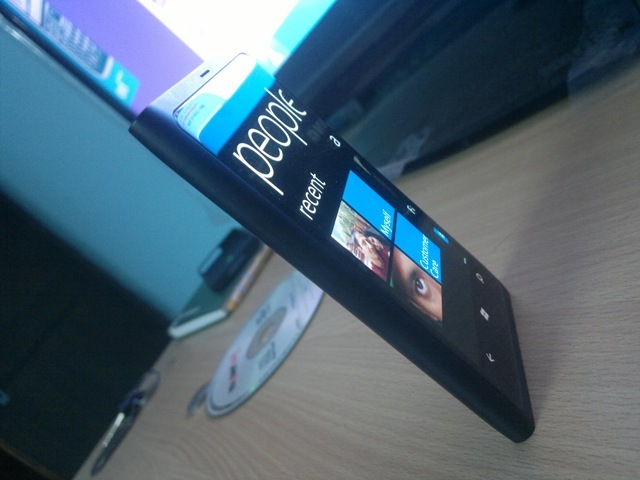 In all fairness to Nokia , they haven`t had a chance to make an impact on WP yet , maybe WP8 will change this . Nor have the Lumias been out too long , though this is changing . So it`s still a bit early to say for sure . That said , WP hasn`t exactly taken off yet , marketshare is still single digits . Nor do I like the Metro UI , though my issue with it is more function than form ( but I do think it`s ugly !) . I firmly believe that a homescreen should convey enough info to keep u current at a glance , and the Metro UI doesn`t do this . Even Windows Mobile could do this ! WP`s biggest problem , IMHO , is it`s requirements for a constant connection and Skydrive . Not so much a problem in developed countries , but in emerging markets with their infrastructure issues and the need to watch data usage, it`s a different thing entirely . I don`t think WP will do well in emerging markets ( It seems to not be … ) , though it also doesn`t seem to be doing well in many developed countries either , with the USA , Finland and Russia as notable exceptions . Nor will do well in countries where the N9 was a success, most notably China , due to the problem that WP is functionally inferior to Meego , and Symbian , for that matter . even the new 311 is better from what I can tell ! For these reasons , I don`t see WP as more than moderately successful , assuming it takes off , of course ! Maybe WP8 will change this , ir really needs too ! cheers ! Hmmm , no replies , can`t say I`m surprised lol ! Every thing about Windows Phone OS is covered very well.